I recently read a rather poignant article over at Pitchfork about Sparklehorse’s Mark Linkous. In it they talked about when he’d write a song that was deemed to “poppy” by his inner critic he’d add sonic grime over top to dirty it up. He’d also use $20 junk yard mics to record his vocals with as he was extremely self-conscious about his voice. These weren’t aesthetic decisions more than they were survival techniques. Over the years plenty of artists have done this “dirtying” up process to their music. Some were lo-fi because the process of recording was a lo-fi thing. Old cassette 4-track recorders, boom box recordings, and simple one mic set ups into past their prime computer software. You create regardless of the obstacles, if you’re a true artist. Car Seat Headrest’s Will Toledo seems to fall into the lo-fi category, though whether it’s an aesthetic or out of necessity I have no idea. I do know this, Mr. Toledo can write a catchy tune. His debut album with Matador, Teens Of Style, is one of those releases that gets folks talking. It sounds like a pro at work, not some 22-year old guy just getting started. Granted, he’s been doing this music thing for quite a few years. On his Bandcamp page he’s got an album titled Nervous Young Man that collects songs he’s recorded between the ages 17 and 21. So he’s a veteran songwriter at 22. What does this mean for Teens Of Style? It means it’s an album with plenty of ear candy, with just a few lagging moments here and there. I’ll get this out of the way at the beginning here, “Something Soon” is just a flat out great tune. This song is The Strokes on their A-game. Like Is This It greatness. It’s pensive. It builds steam in the verses before exploding into this beautiful, muffled pop grandeur in the chorus. There’s some Dr. Dog, Strokes, and even touches of Youth Lagoon in this great song. Will Toledo breaks into a maddening scream at the tail end of the song that encapsulates youth’s frustration to be heard by the rest of the world quite beautifully. “Sunburned Shirts” opens the album on a psychedelic note with wavering noise and squeals before presenting itself as some acid-soaked pop relic from the mid-sixties. It’s breezy and confident, with the twang of the Byrds and the torn speaker buzz of early Ty Segall. It builds into an anthemic cacophony of noise and red-eyed wistfulness. “The Drum” sits between these two great tracks and it jangles and buzzes like Guided By Voices in 60s pop mode, with a touch of Sebadoh self-consciousness for good measure. That covers the first three tracks. From there, things ebb and flow through catchy and middling. “Times To Die” has a Pavement swagger to it, if Trevor Powers sat in with them one night. “psst, teenagers, take of your clo” is one minute of lo-fi crusty pop that Robert Pollard would dig. The album lags a bit in the back end with three rather long-ish songs in a row. “Strangers”, “Maud Gone”, and “Los Barrachos(I Don’t Have Any Hope Left, But The Weather Is Nice)” all go well past the five minute mark, and while there’s nothing wrong with that after being treated to pure pop confection on the first half of the record those drawn out tracks show their length. A band like Yo La Tengo can take these sorts of songs(especially the YLT-leaning “Maud Gone”) and turn it into an existential experience. Here though, it just slows the album down. “Oh! Starving” closes the album nicely. 50s-style piano and a We All Belong-era Dr. Dog groove. 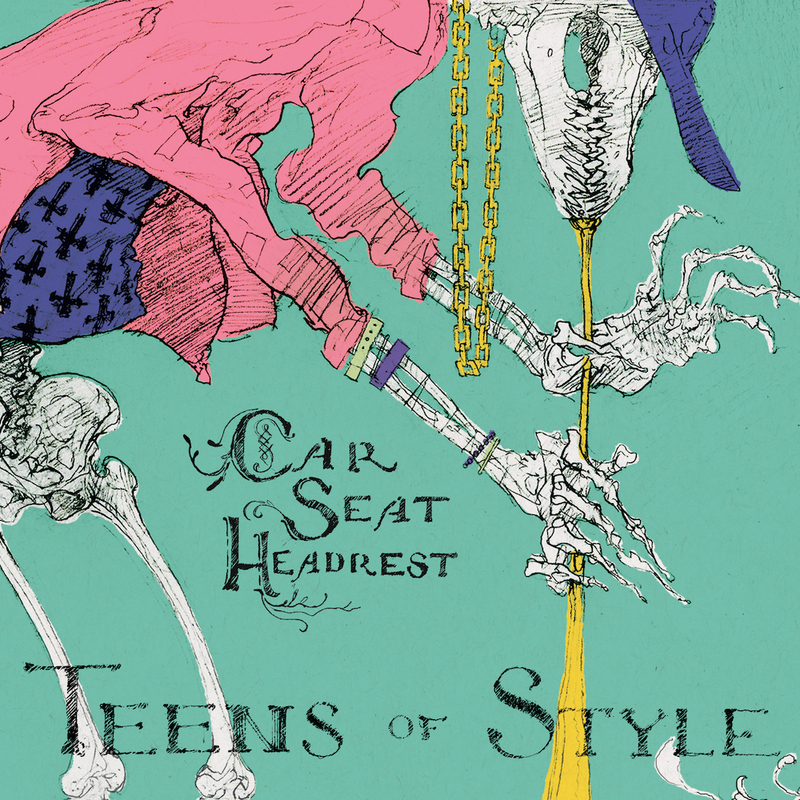 Will Toledo and Car Seat Headrest have made an impressive debut with Teens Of Style. It would be interesting to hear what he does with a more cleaned-up sound. Not sure if you’re self conscious or not Will, but you have no reason to be. I believe I read that very same Mark Linkous piece today!! Put me in the mood to listen to some Sparklehorse today. As for these folks, I reckon they appeal to that part of me that digs Linkous. It was a really great article I thought. I listened to Good Morning Spider and Dark Night Of The Soul afterwards. I opted for It’s A Wonderful Life and Dark Night of the Soul! Good Morning Spider on today’s playlist!